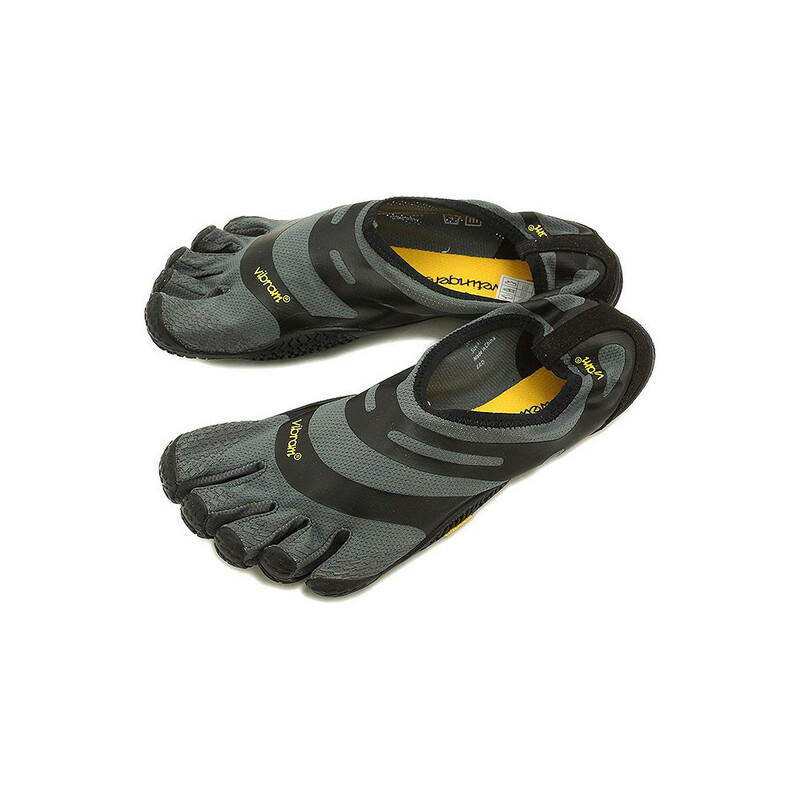 The thinnest sole offerred by the Fivefingers range, the EL-X offers the most ground feedback possible. Designed to be simple, comfortable, easy on, easy off – the EL-X is an ideal shoe for those looking for a true minimalist experience. EL-X stands for Entry-level X-fit training making these ideal for fitness in particular. Weight: M43=65g. Sole Spec: Insole: 2mm EVA + Anti-Microbial Drilex Sockliner. Midsole: N/A. Rubber: 3mm. Upper Material: Polyester Fabric. Vegan.